The energies of September were a natural flow of expanded balance, with the equinox energies nudging us into a new level of empowerment. This is the core of Ascension—more empowerment within so that the interaction in the physical realm are a stronger bond (Love). This inner crystalline clarity (clair-ity) allows for a more conscious connection with the subtle realm. The rules of our interaction with the subtle realm are different. They require resonance, not force/action like the physical realm. Resonance means you must become the change you want to create in this world. September offered an integration of separation into a new level of empowerment. Not always easy, but always worth it. 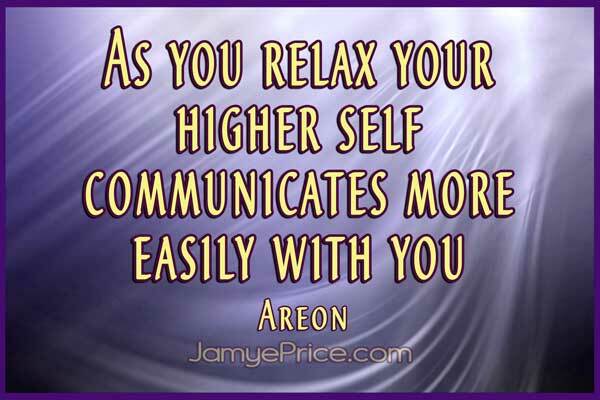 Ascension symptoms were a bit lighter than August, though I was noticing tension in the throat and jaw. Boundary issues and valuing yourself were at the forefront. Sometimes it’s easy not to see the forest because of the trees. We can get lost in the details and miss the bigger picture. September’s Polarity Perspective has a lot of advantages as we learn to look beyond the obvious of the physical experience, into the potentials of the subtle realm—the bonds of Love. The details of what occurred in September are unique manifestations of the bigger picture of evolving the human condition. Were you able to observe or experience and still hold your perspective of love and connection? 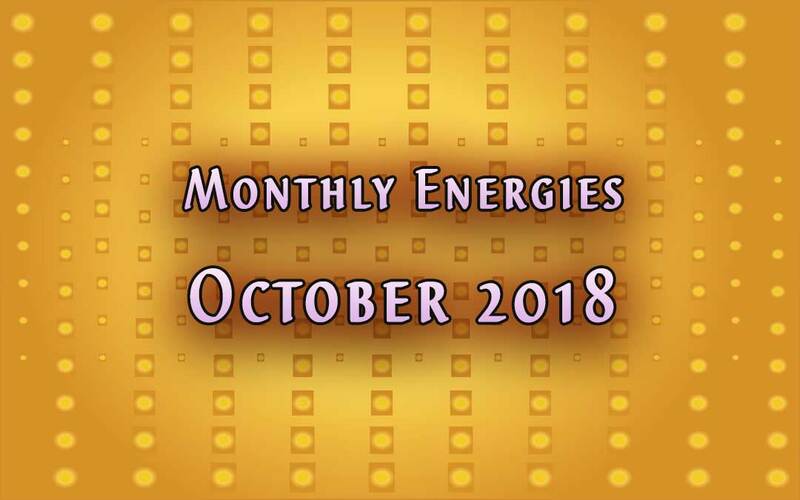 October’s energy expands that. Areon, the Lyran Council of Time, has called 2018 the Year of Amplification. We are moving fast into a new level of density. Fast is a relative term. It certainly feels like consistent movement without much slowing down. But that is the amplification of change that is moving us into the new. Change always brings unknown. That is an uncomfortable place for many, and a frightening place for many others. It is a creative state. The creative state requires change. It requires a certain amount of risk. The famous Anais Nin quote sums it up nicely, “And the day came when the risk to remain tight in a bud was more painful than the risk it took to blossom.” You must open to embrace change. That is creativity, that is constant in the physical realm. When I sat to meditate on the energies of October, I was shown a network of connections that were squeezing, building up, releasing, rearranging. It didn’t feel comfortable. It looked like a neural network, and indeed there is much change within the brain that is occurring as we evolve into more conscious connection with the invisible realm. The 99% that builds worlds. Yet there was an interesting component to it that felt like internal movement within something so large that it was almost imperceptible that something was changing. There was the juxtaposition of contraction and expansion at the same time. There was a sense of relaxation—something Areon has been mentioning a lot. There was an acceptance of the flow of change that wasn’t trying to resist or force, just allowing the flow. The polarity that seemed like separation, was embraced as the potential of new connection. There was a sense of peace even with great change within. September’s energy moving into October is an extension of your willingness to remain open (out of the stress structure) to your flow of wisdom as you embody your desires for change here on Earth. Being the change, living your truth, expressing your Love through your example—whether a moment of saying yes or no. Also within the October information is the energetic of birth contractions. The time of labor. The preparation for new life. Birthing into fourth density means there is preparation as the body of humanity deals with supporting the new—risking opening up (vulnerability) to expand. It’s uncomfortable. It’s unknown. And it’s magnificent to blossom. What are you willing to risk for your expansion? Saying yes to something new? Saying no to something out-of-balance? There isn’t just a manual of how and when, there is a transformation into now and win/win. ;o) Ok, that was a fun rhyme, but true! There actually is a transformation into deeply embracing the now moment. Really being here. And then the next steps become clear. That requires courage within. I don’t always get a message for an animal totem. This month butterfly (transformation) showed up. I was especially excited when I watched the final video for this month, because I didn’t know a little butterfly (perhaps a moth, couldn’t tell on that one) flew into the shot! Also, the Manzanita plant behind me (to the left) looks like the neural network in my vision. What cool synchronicities! The butterfly transforms from a caterpillar into a butterfly, through what seems like a death. There is no guarantee of freedom and flight. Through the unknown, the caterpillar has no choice but to surrender to the process. Finally, the butterfly must risk pushing it’s way out of the cocoon that has kept it safe and sheltered. It’s no longer comfortable. What’s on the other side? It’s never even flown before. The pushing out of the cocoon is a necessary step to having the strength to fly. In my message with the butterfly, there was a small one, then a large one that wasn’t flying normally. Another small one. Then finally a large one that was flying normally. I sensed the progression that mimics our own transformation. It seems small at first. Is anything really happening? Then sometimes it gets overwhelming, like it’s hard to find your (new) flow. Appreciate the small changes! Finally, the freedom of flight! When we are going through change, it can seem dramatic. Before that change occurs, we often feel chaos to varying degrees. But chaos is just a matter of perceiving the deeper patterns birthing new form. That doesn’t mean figuring it all out. It means discovering it. It means being willing to open to embrace the unknown. It means being willing to neutralize in the midst of chaos so that you can resonate with the energy of improvement. October will continue this flow of change that has been constant and amplified in 2018. Your choice will be to open and embrace change (give Life a hug!) or risk remaining the same. You’re worth the effort to blossom.